It’s an honor to be chosen as Maid of Honor or Matron of Honor by the bride particlularly since she respects your advice and cherishes your friendship. Your main duties will include helping the bride make her wedding a very special memory. Help the bride choose her beautiful wedding gown at the bridal shop. Help the bride select the bridesmaids’ dresses. Keep the bridesmaids informed about various developments and plans including fittings, parties, showers, rehearsals, payments due, and appointments. Help the bride address wedding invitations and thank you envelopes. Attend pre-wedding parties and rehearsals. Plan the bachelorette party. 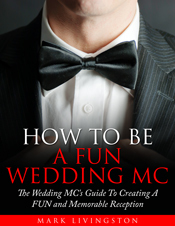 Be sure to include the bridesmaids and ask for their advice and help. Stand with the bride at the altar and hold the bride’s bouquet during the wedding ceremony. Help the bride keep track of gifts received. 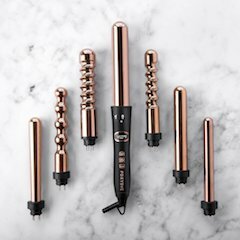 Help the bride prepare for the wedding on her wedding day. Give a Maid of Honor toast at the rehearsal dinner. 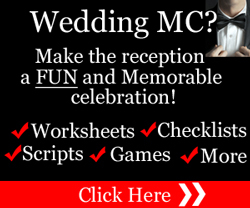 Give a Maid of Honor Speech or Matron of Honor Speech and/or toast at the wedding reception. This is an important part of the wedding reception that the bride will particularly remember so be sure to prepare your Maid of Honor speech or Matron of Honor speech well ahead of the wedding reception. Pose with the bride and other bridesmaids for any wedding pictures before or after the wedding ceremony. Welcome wedding guests in the receiving line. Attend to any details the bride needs or requests to help her on her special day. The Maid of Honor duties or Matron of Honor duties ultimately depend on the bride so the list of duties and responsibilites for the Maid of Honor or Matron of Honor can be very flexible. The bride might, for example, ask you to find special items to complete the wedding theme or her ensemble. 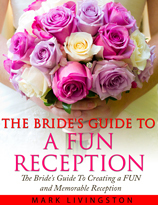 Whatever is requested by the bride, remember that it’s an honor to perform the Maid of Honor duties or Matron of Honor duties and do them with diligence, cheerfulness, and efficiency to make the wedding planning less stressful for the bride.